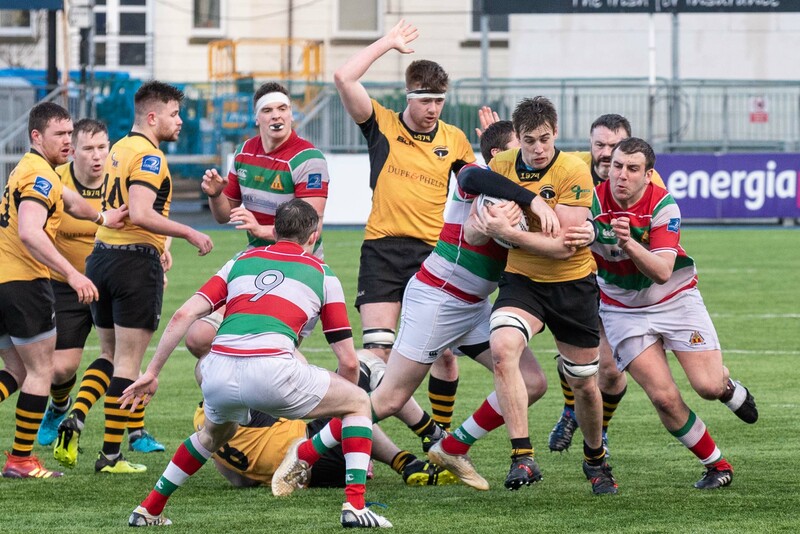 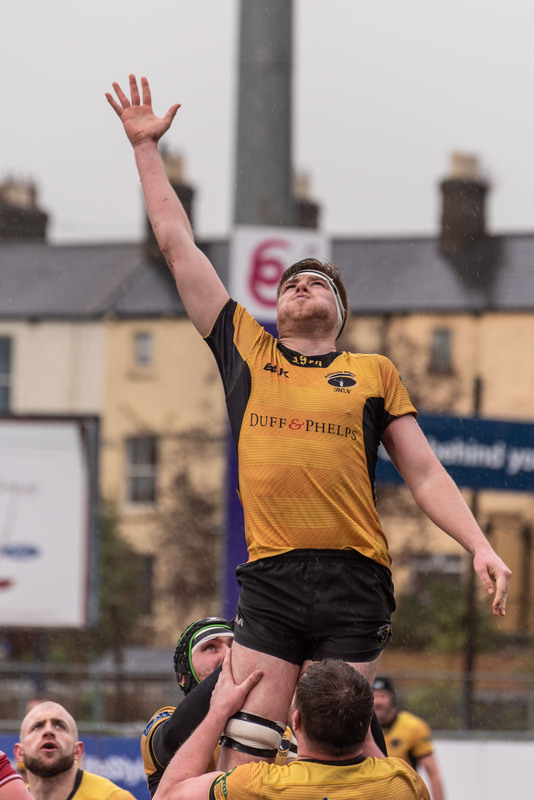 Ashbourne went down by 22 points to 24 away to Bective in Energia Park on Saturday in a thrilling game when a late penalty gave the home side the win that they badly need to survive in the division. 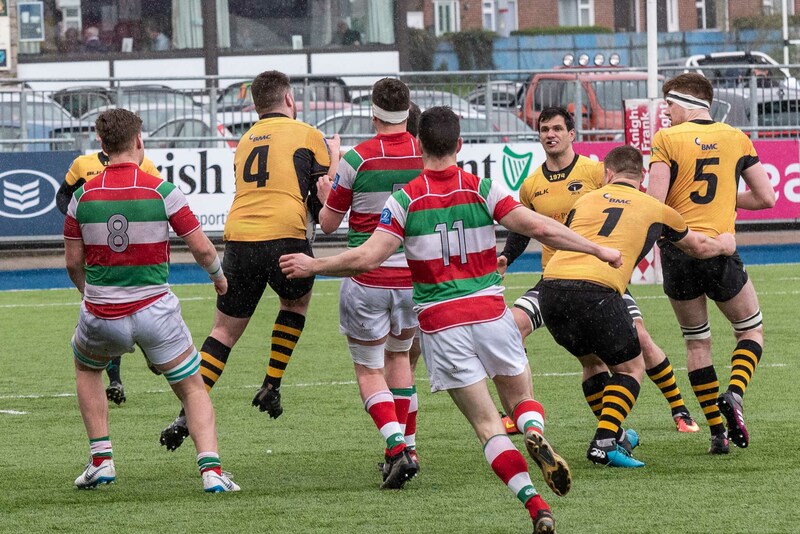 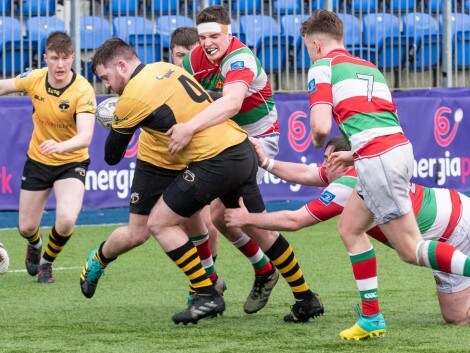 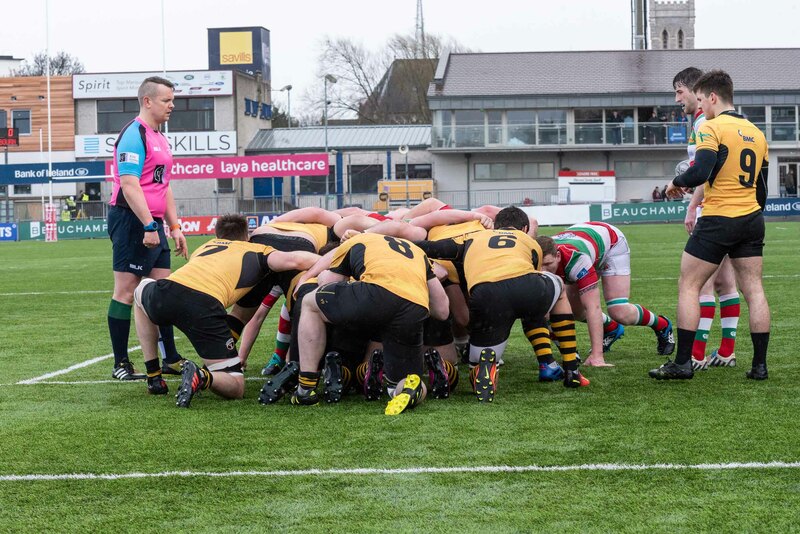 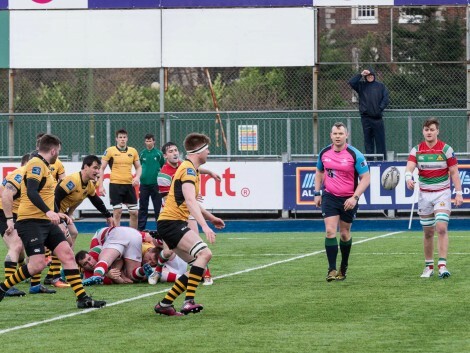 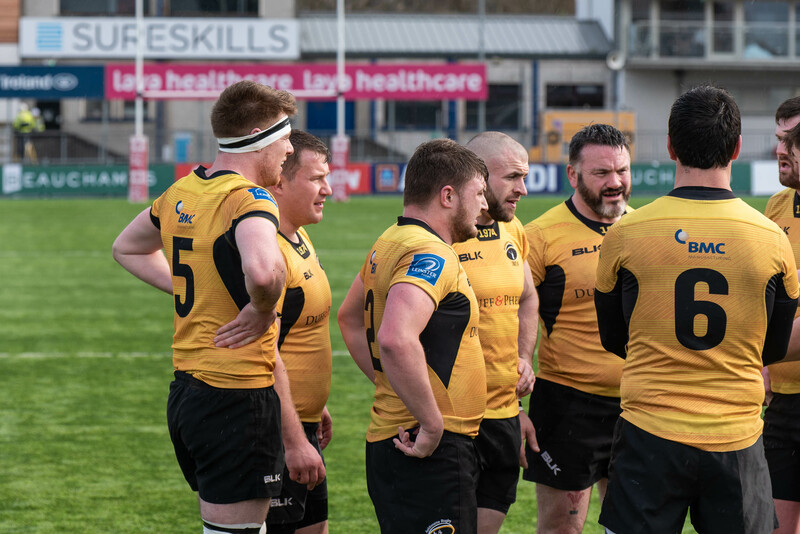 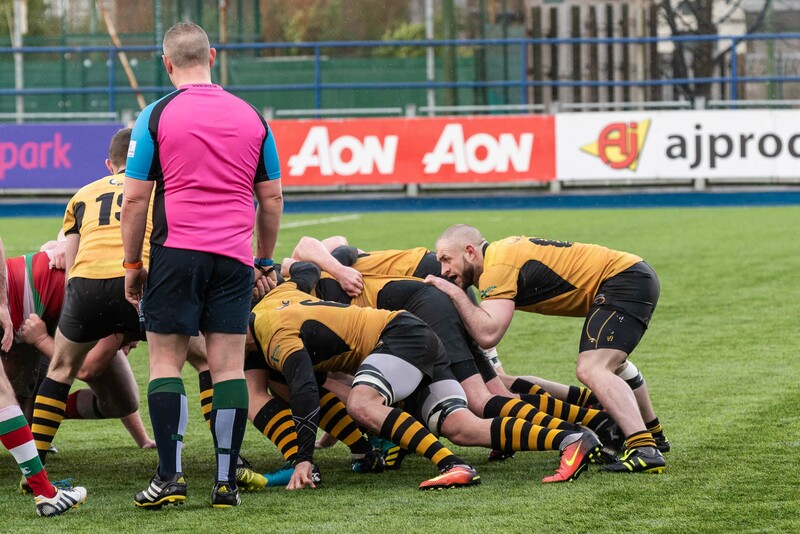 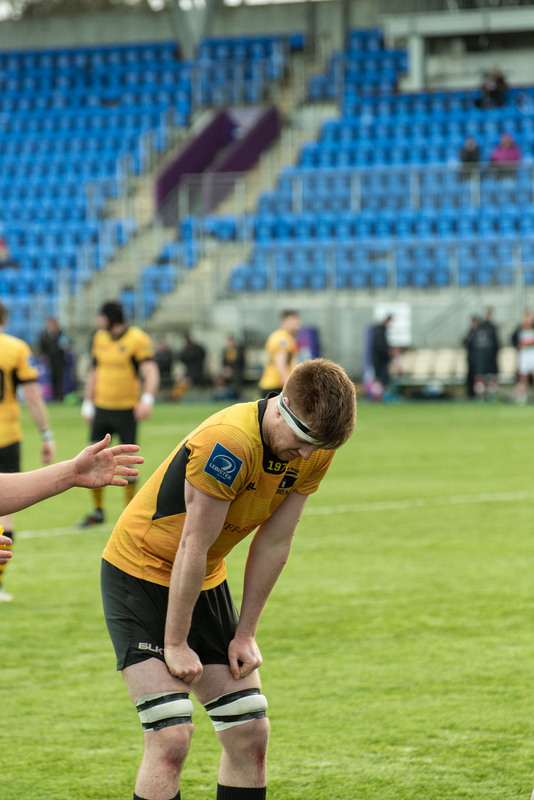 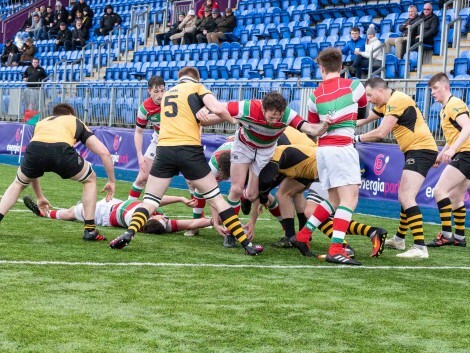 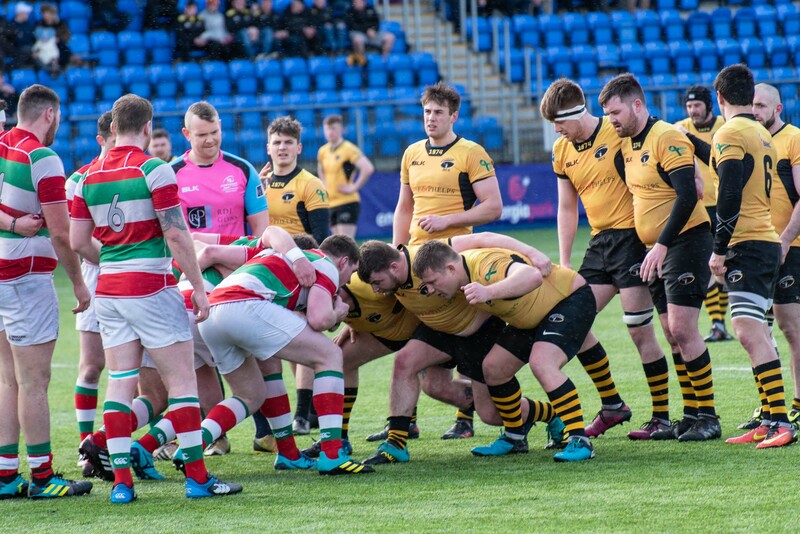 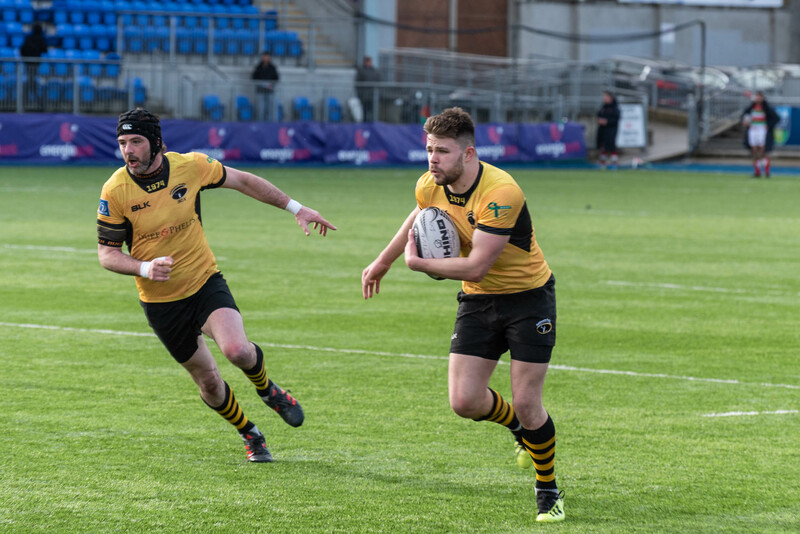 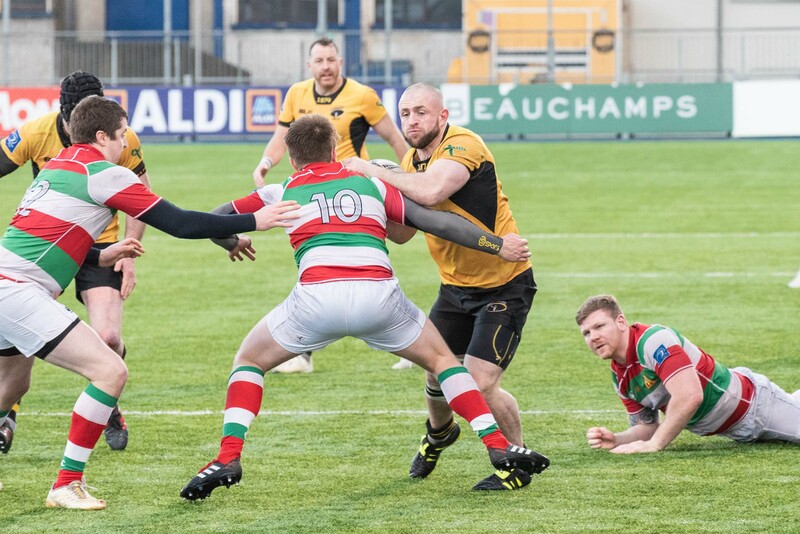 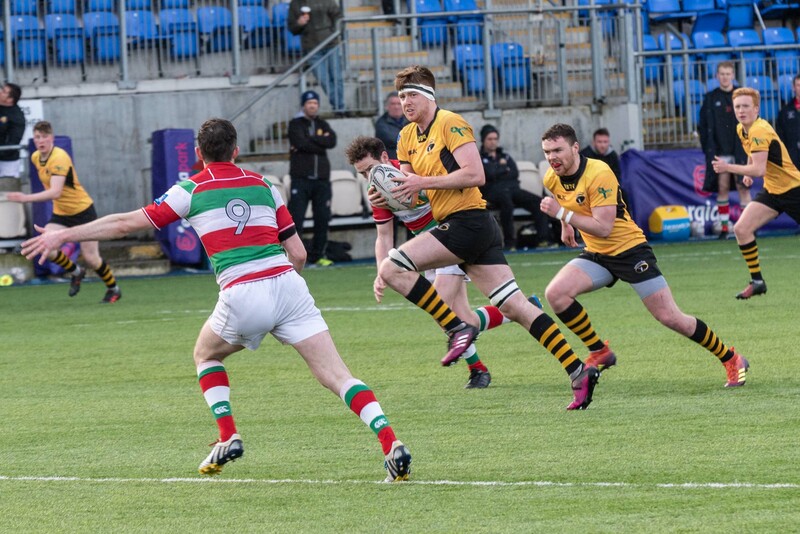 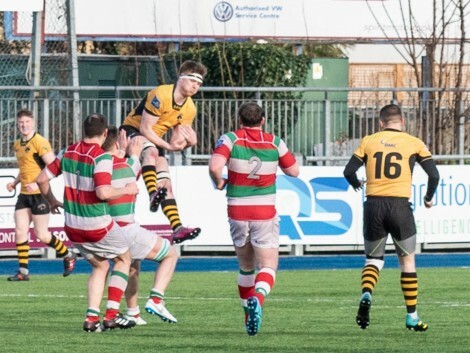 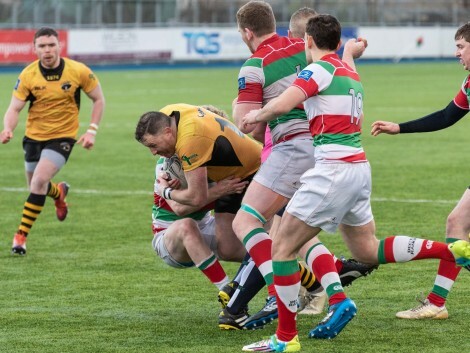 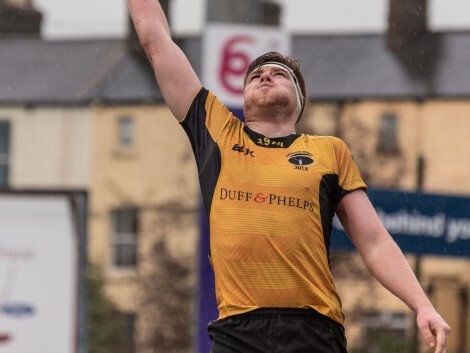 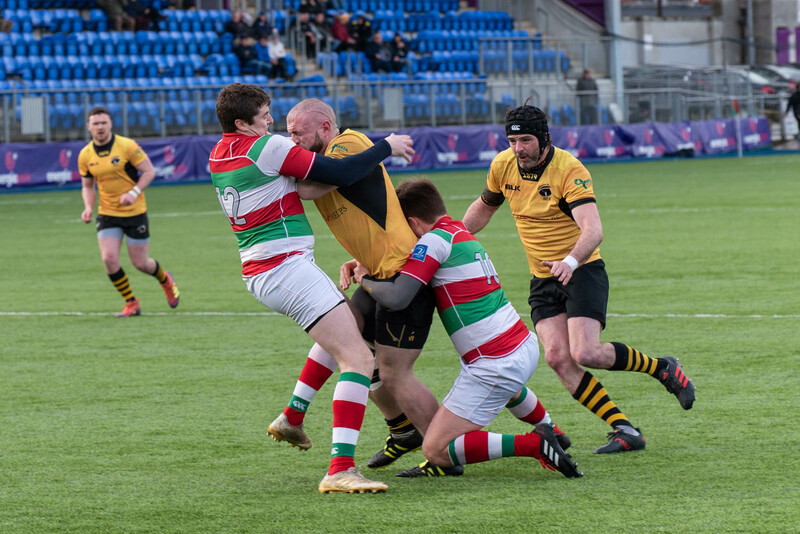 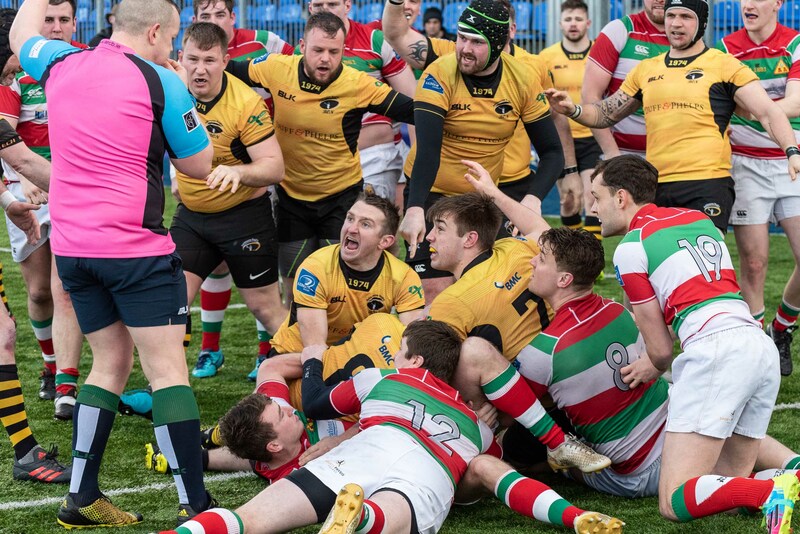 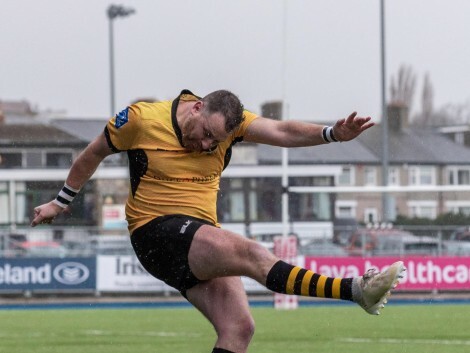 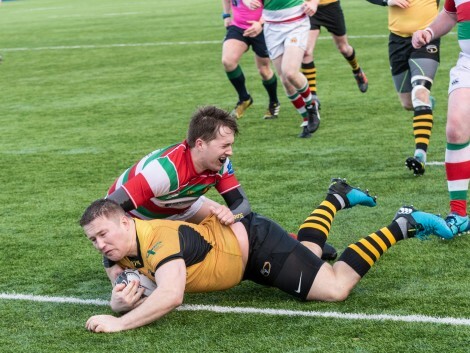 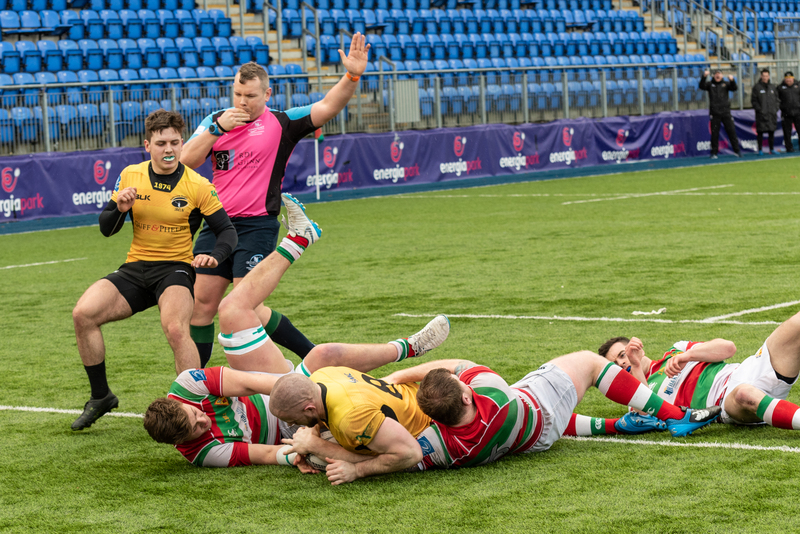 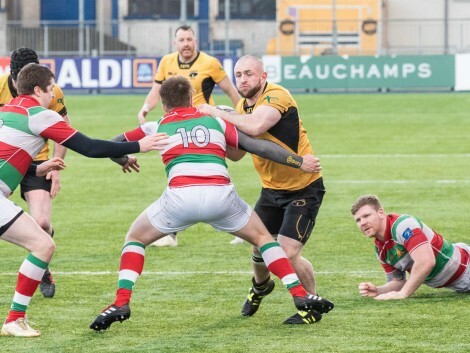 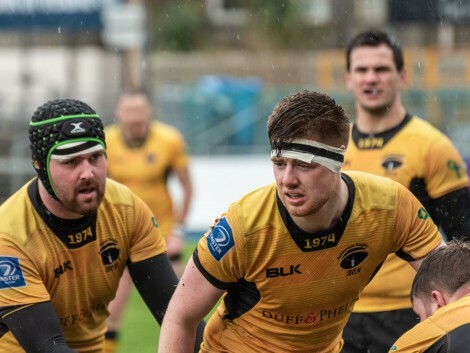 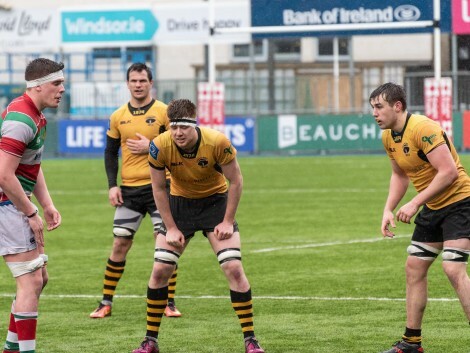 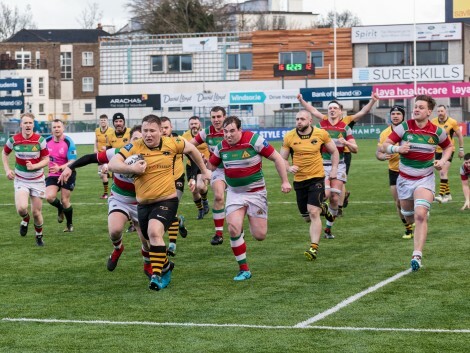 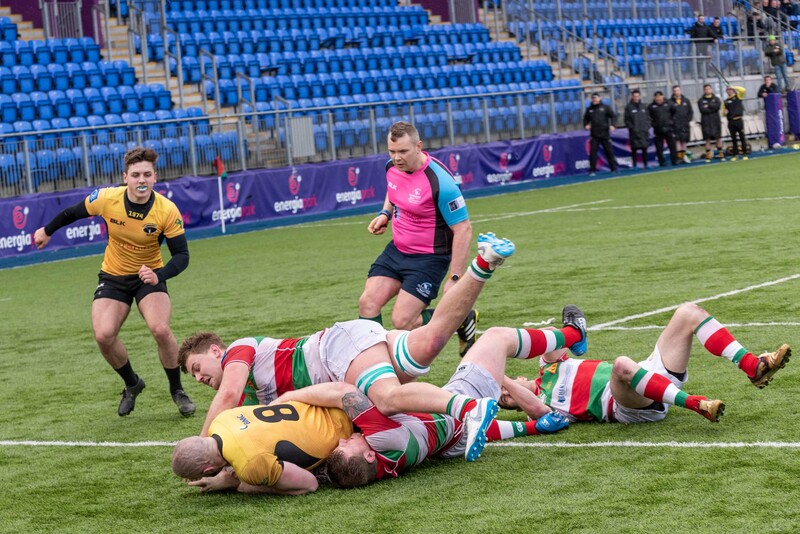 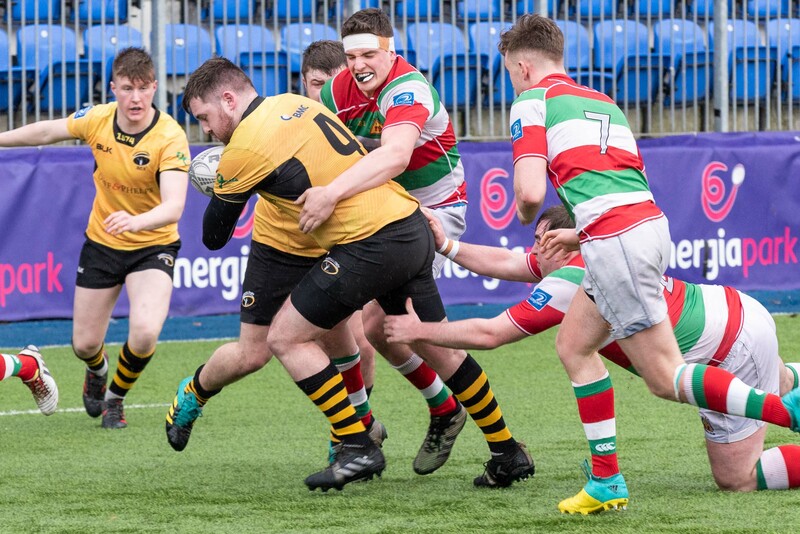 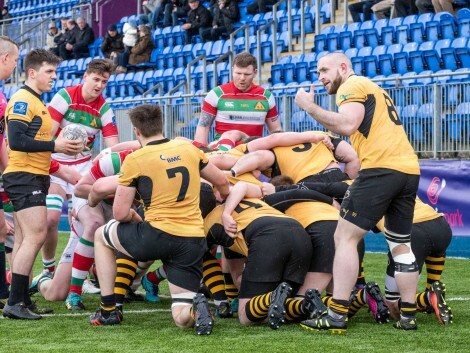 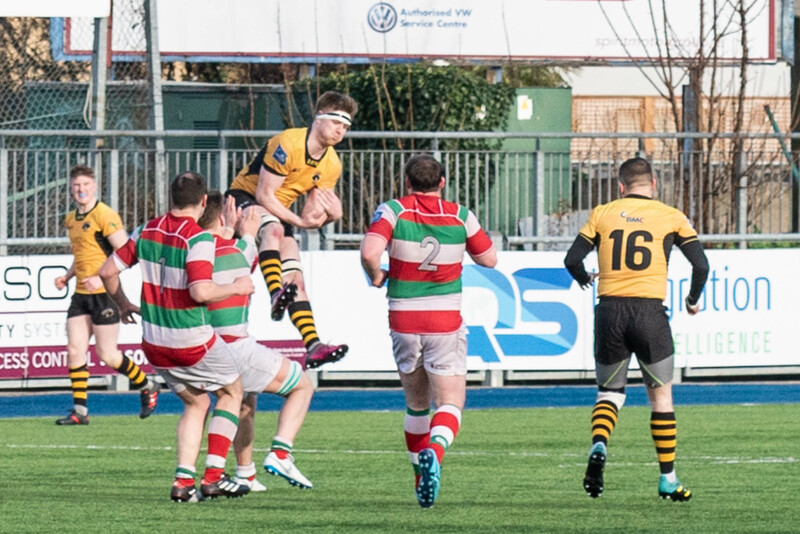 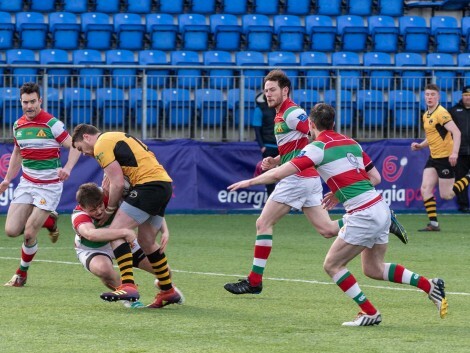 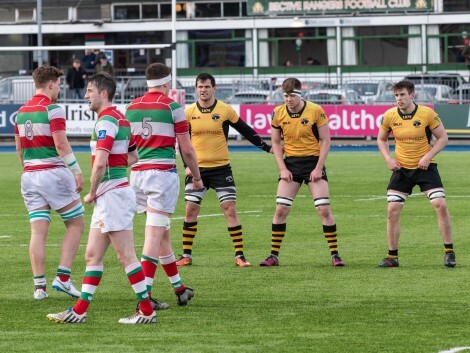 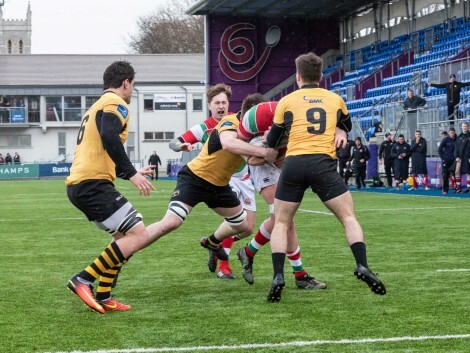 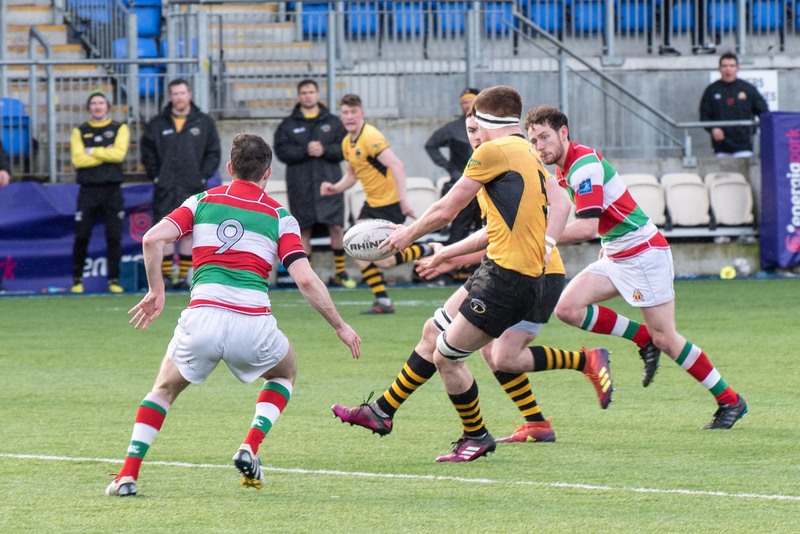 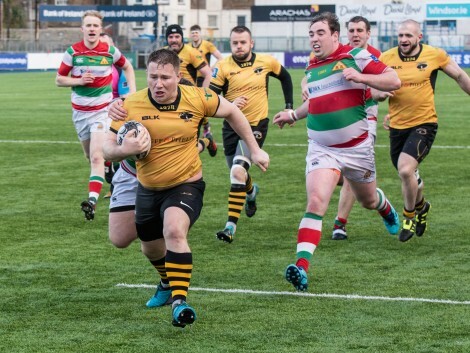 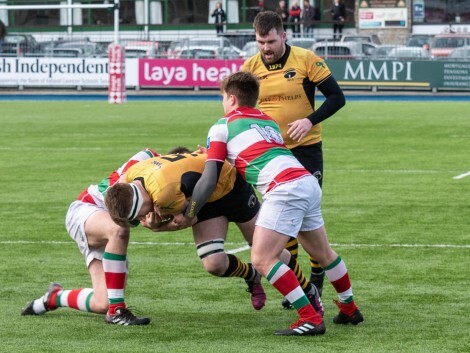 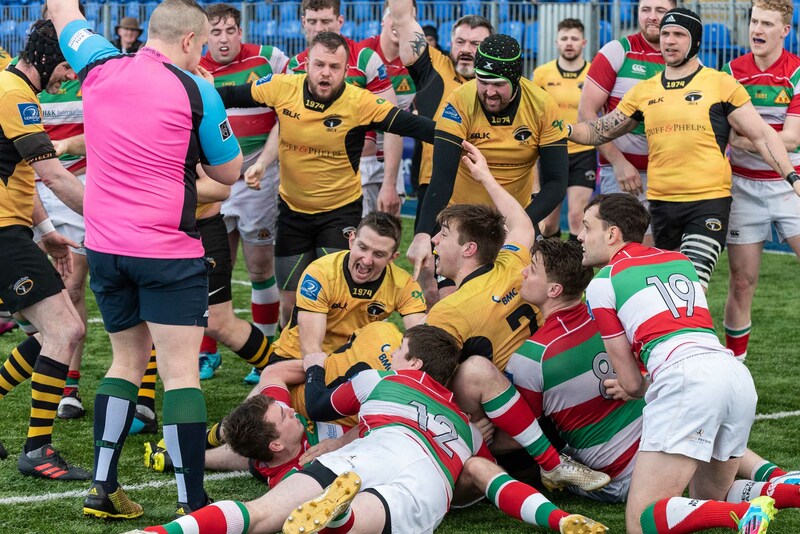 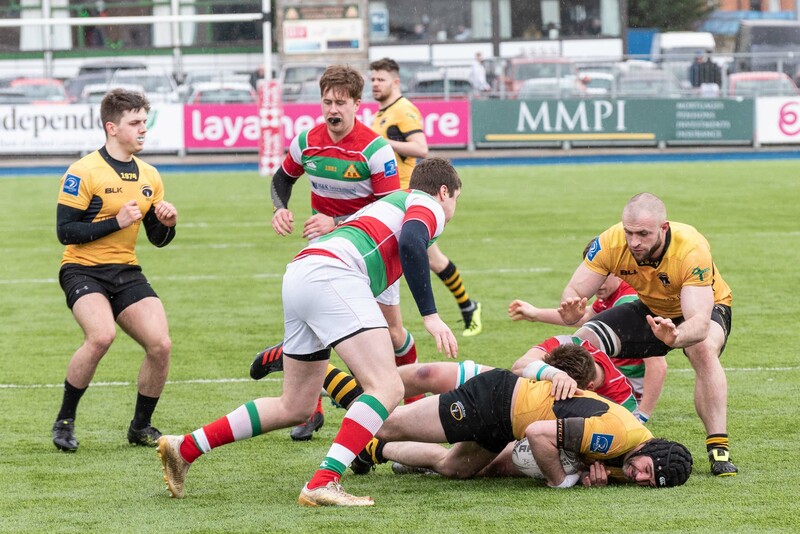 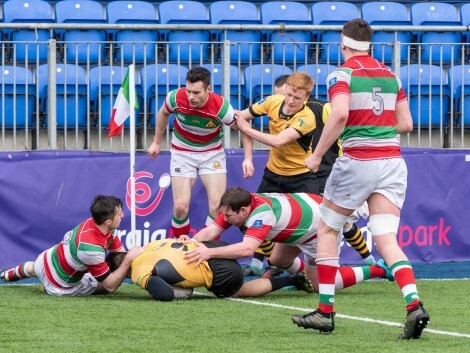 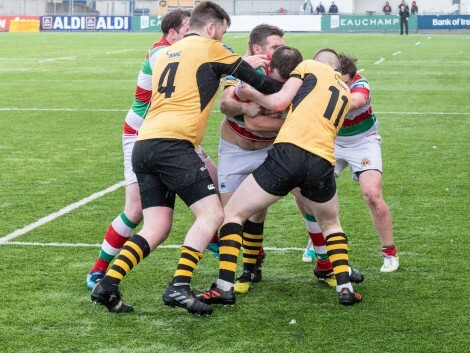 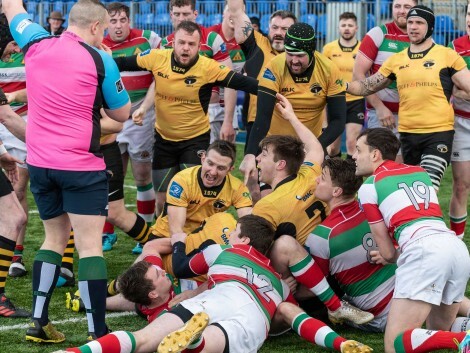 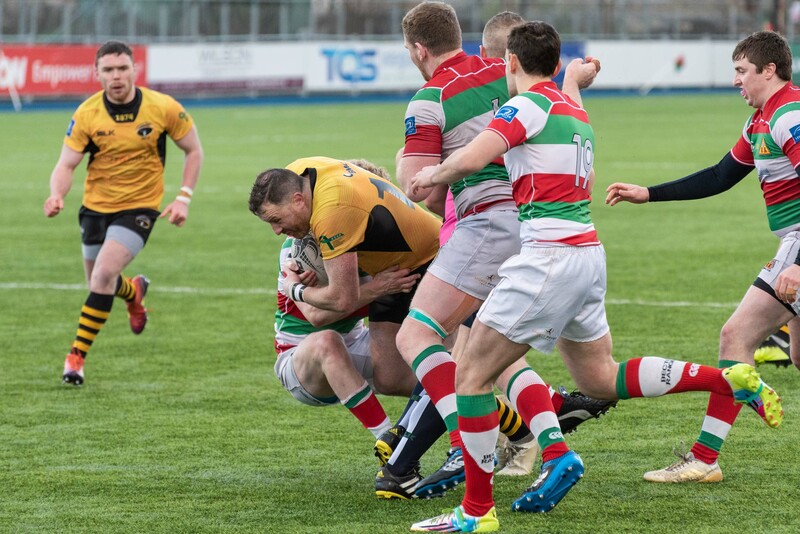 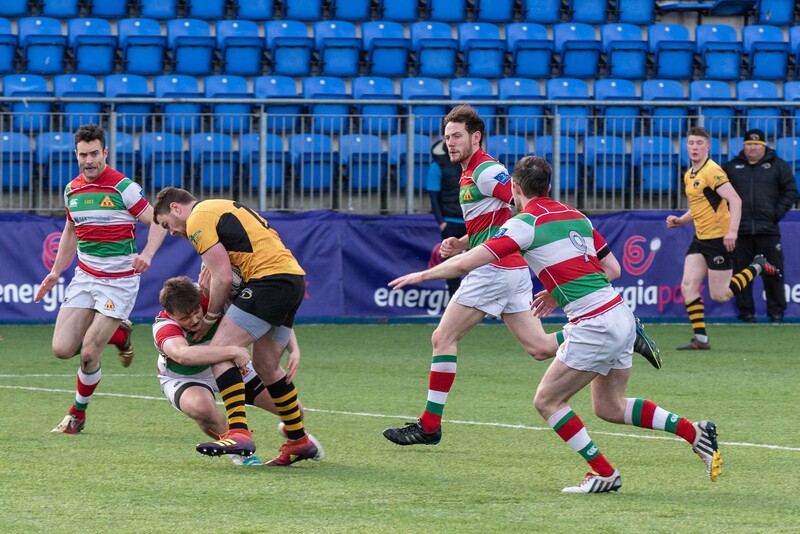 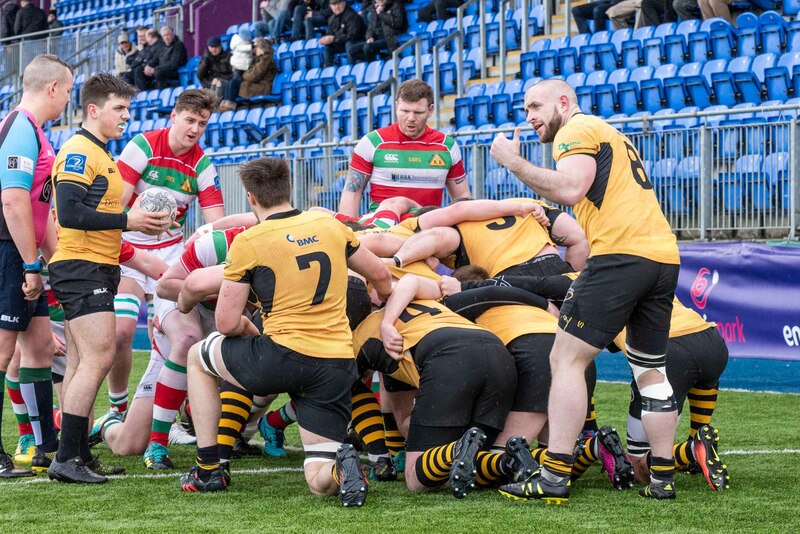 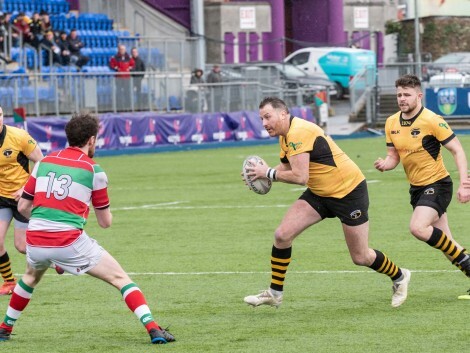 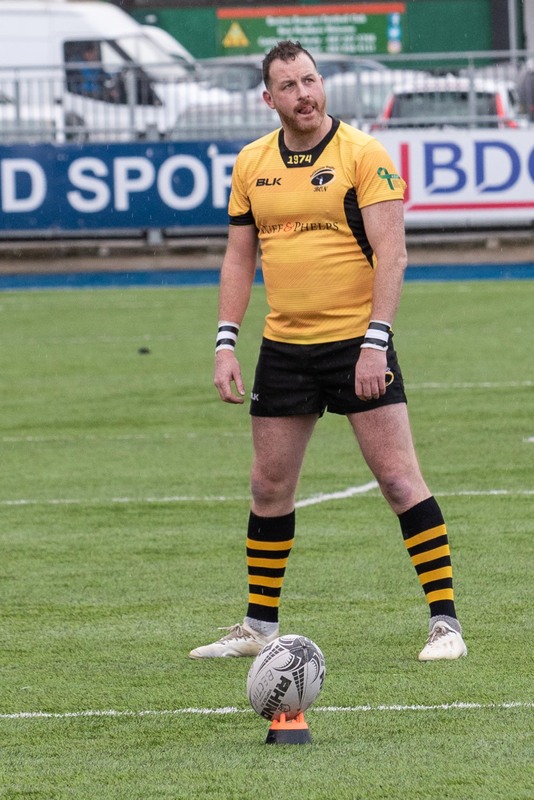 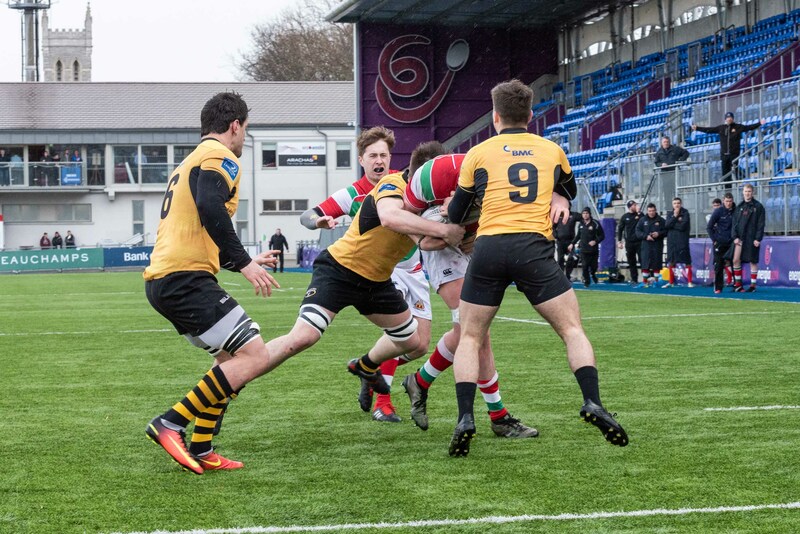 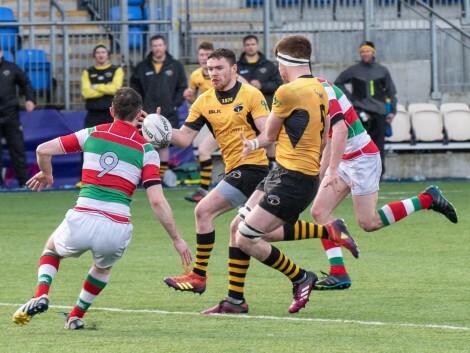 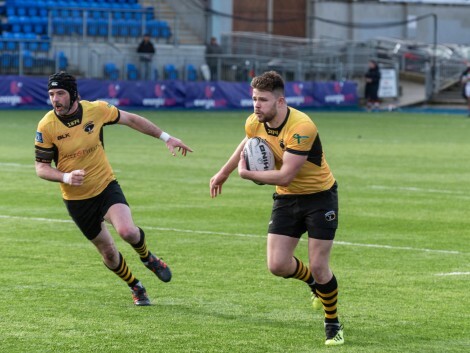 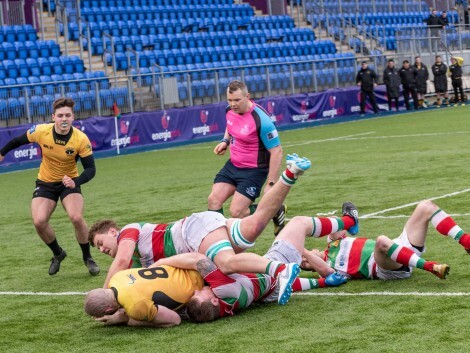 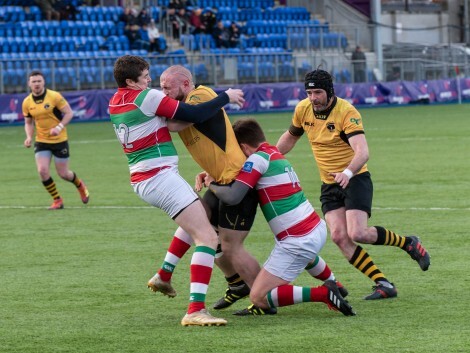 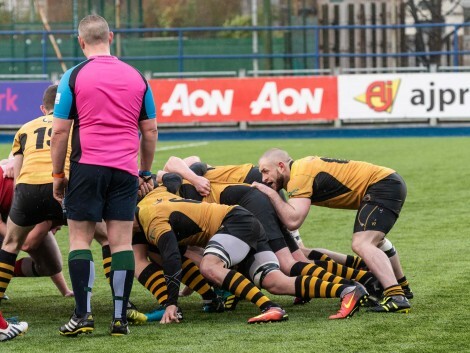 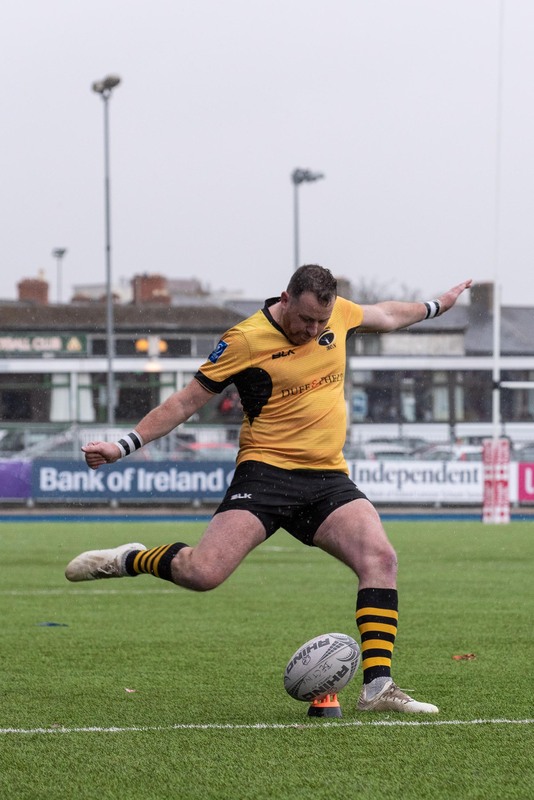 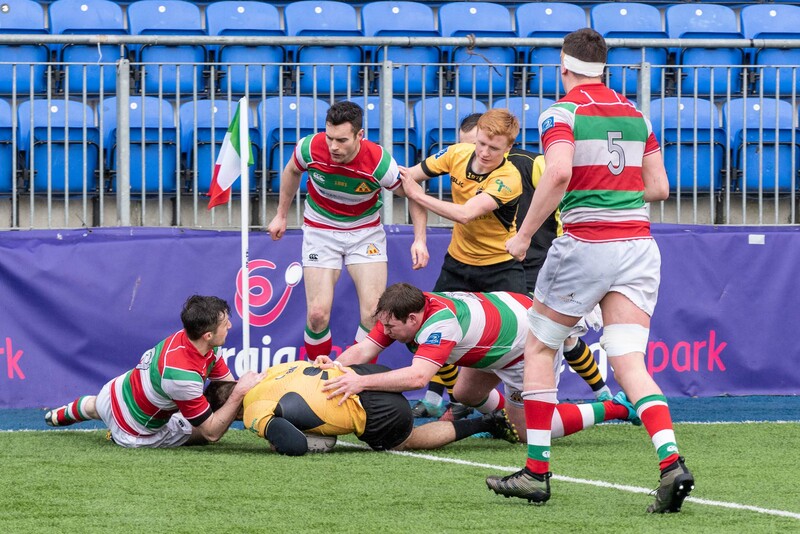 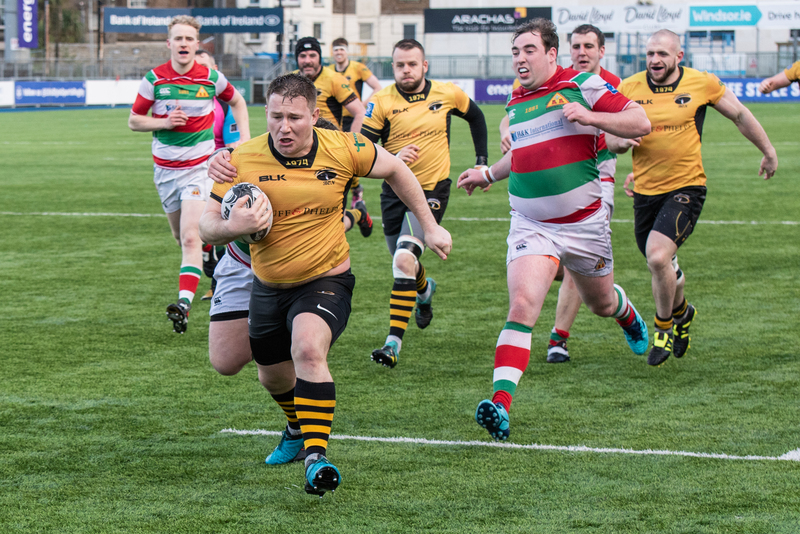 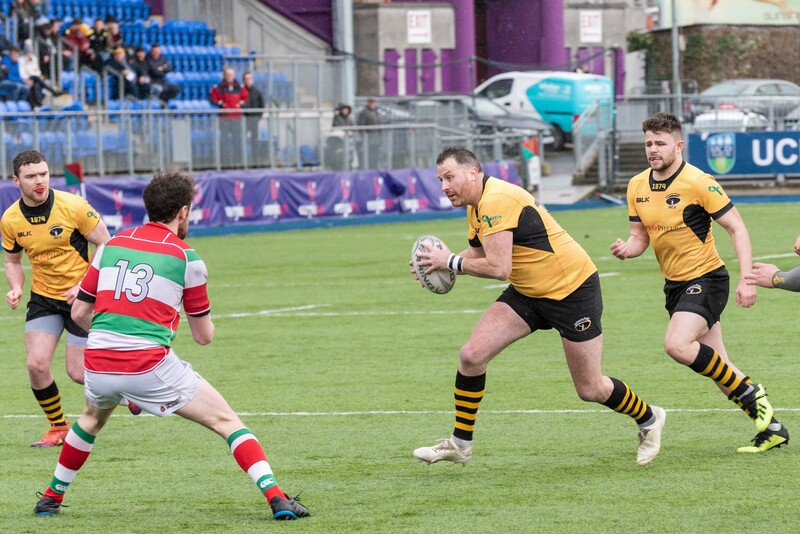 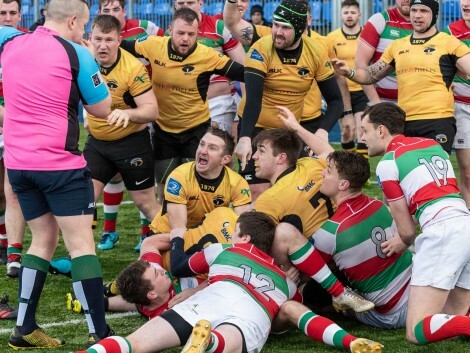 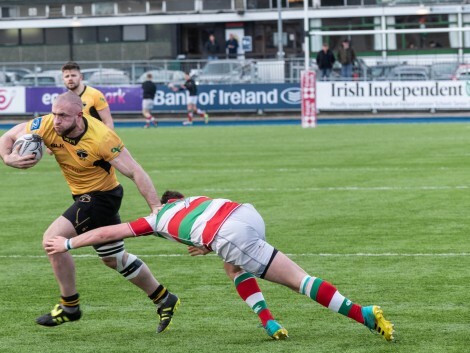 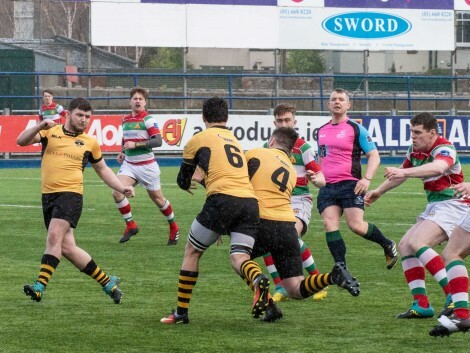 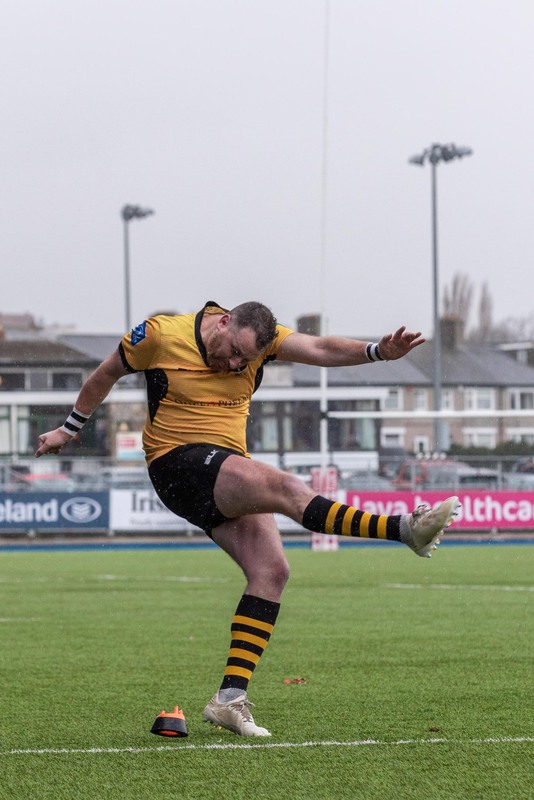 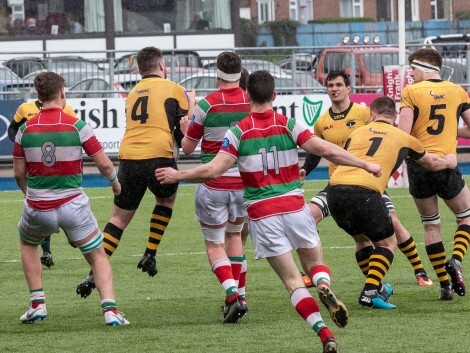 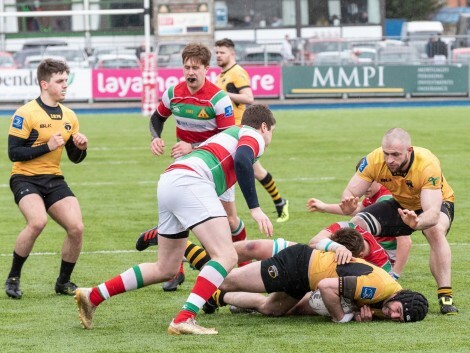 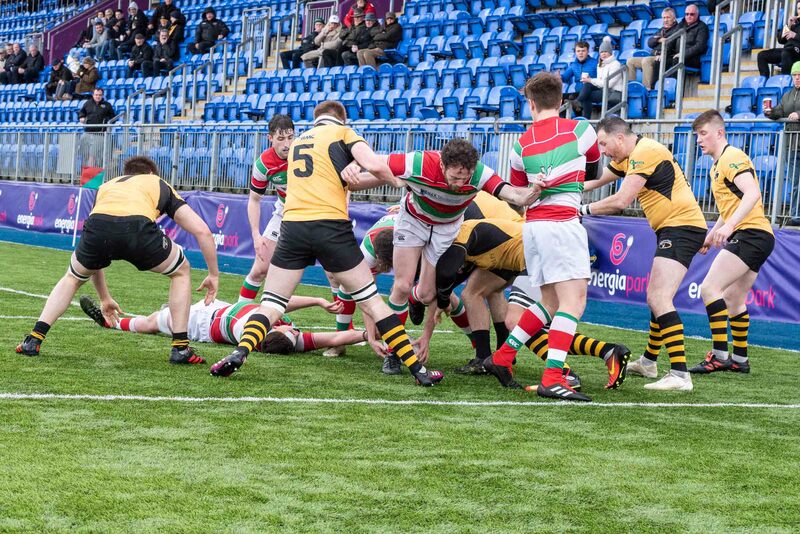 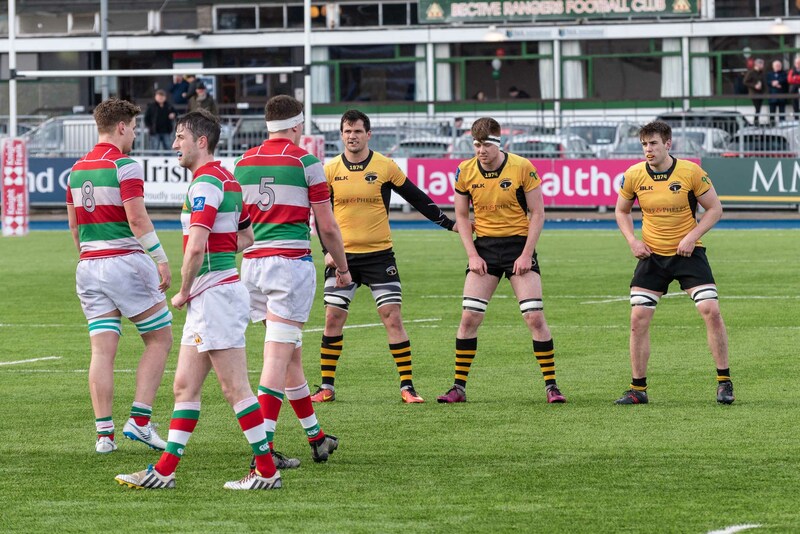 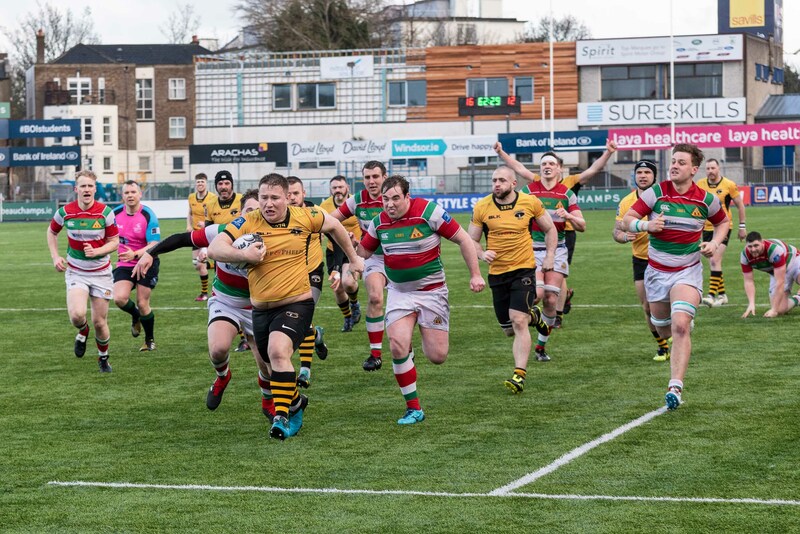 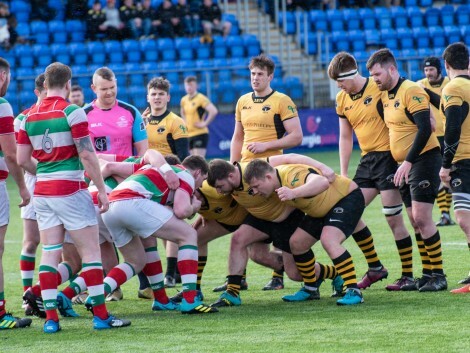 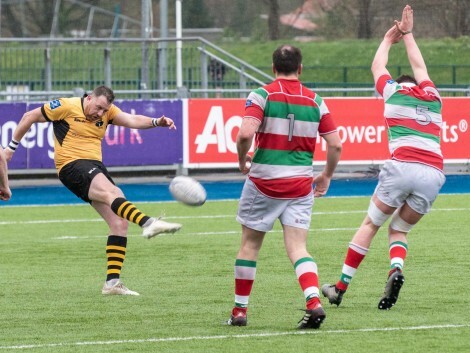 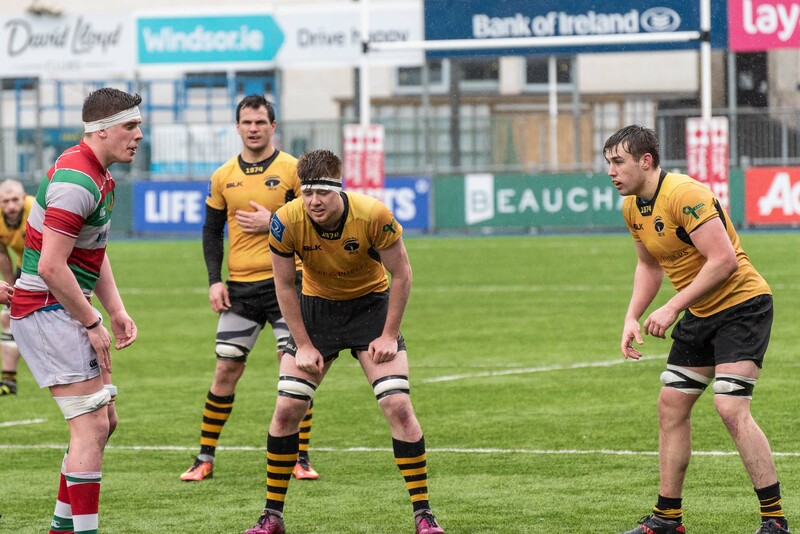 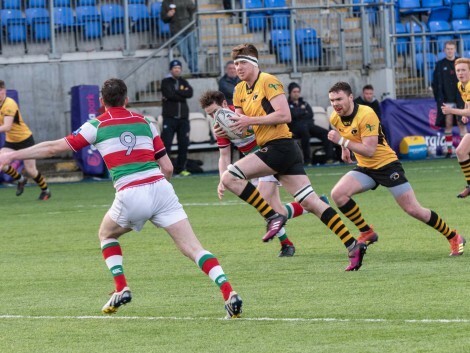 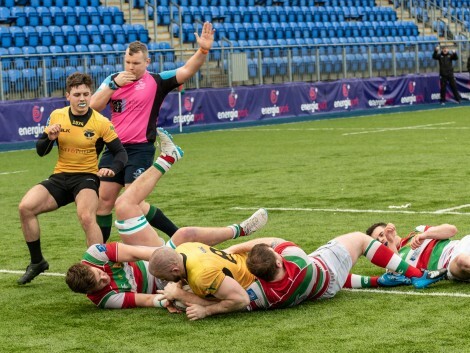 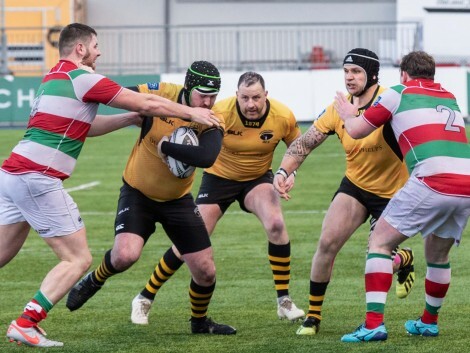 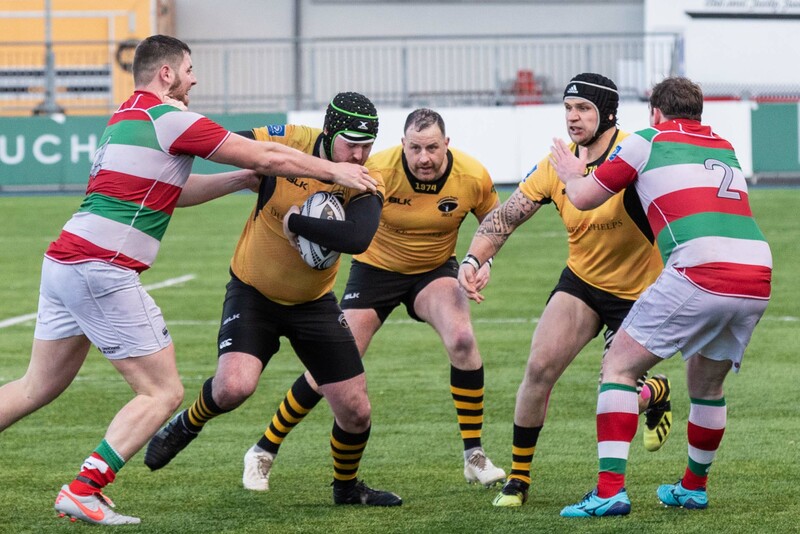 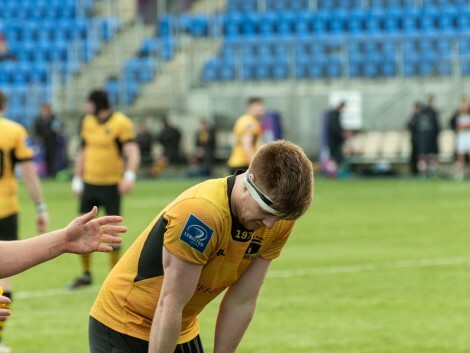 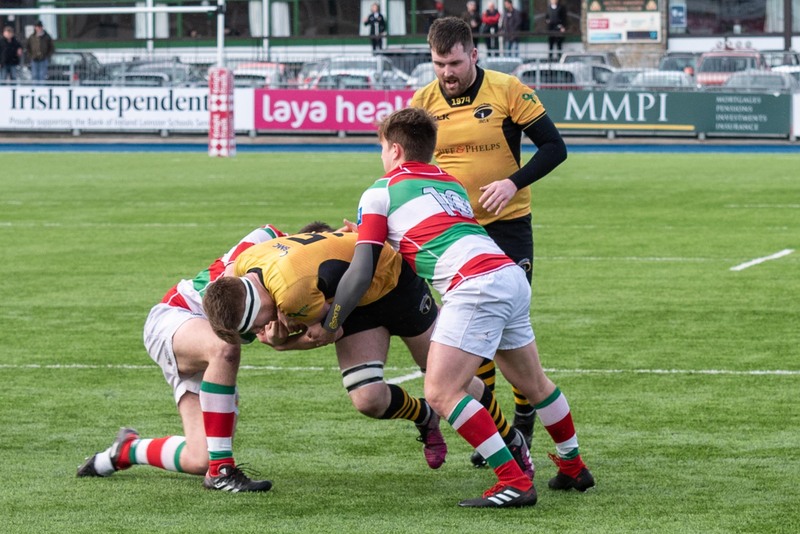 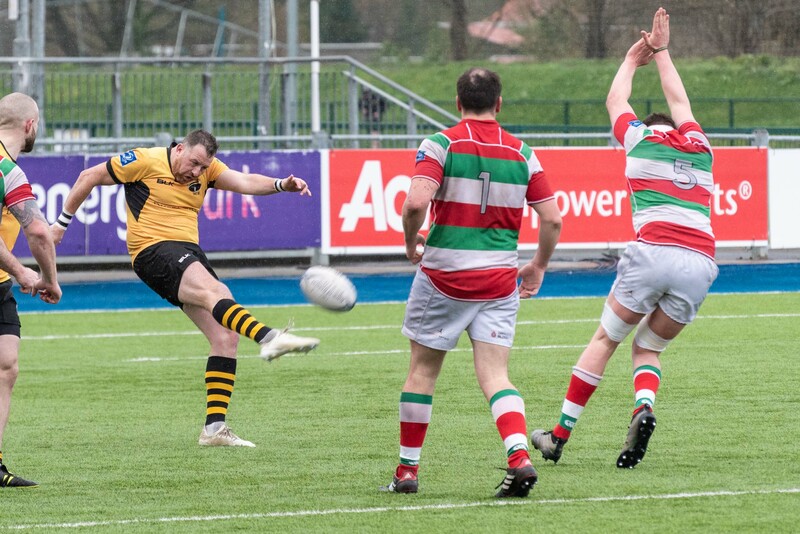 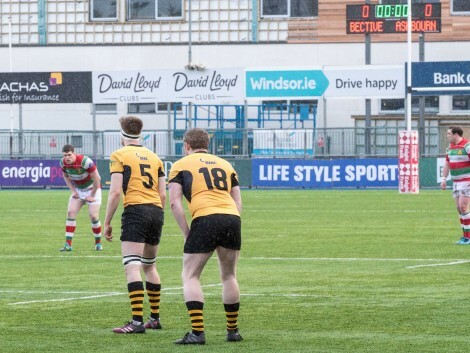 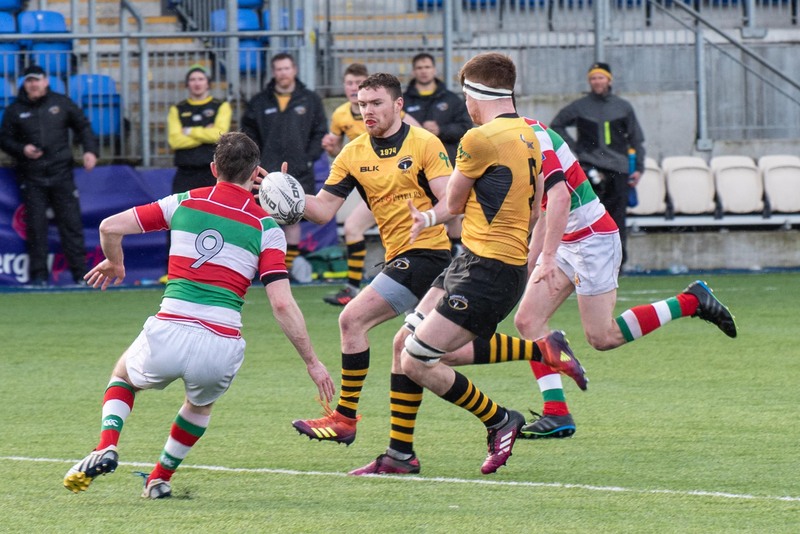 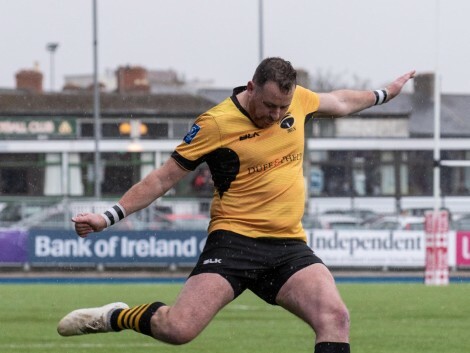 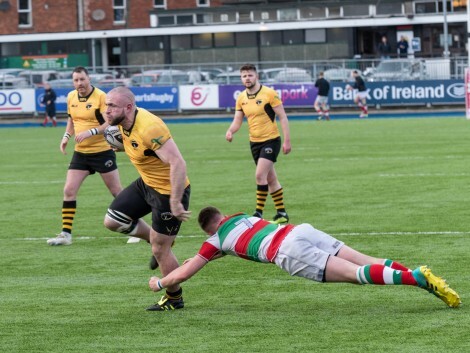 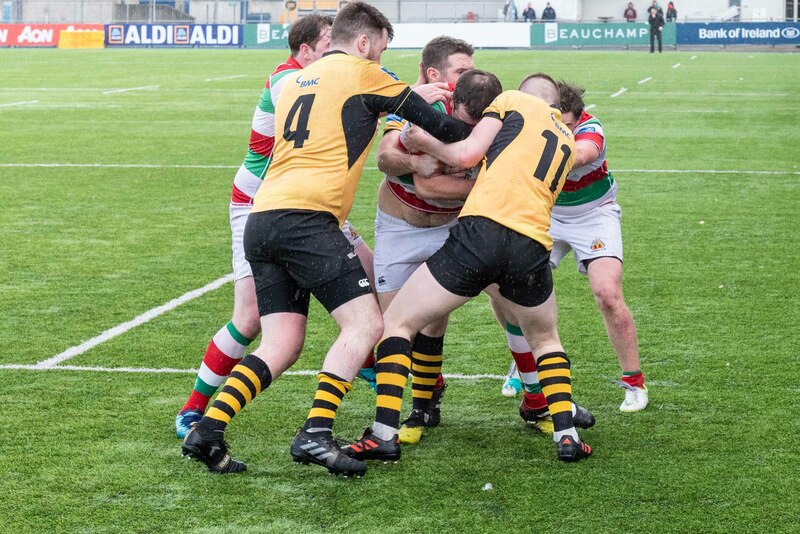 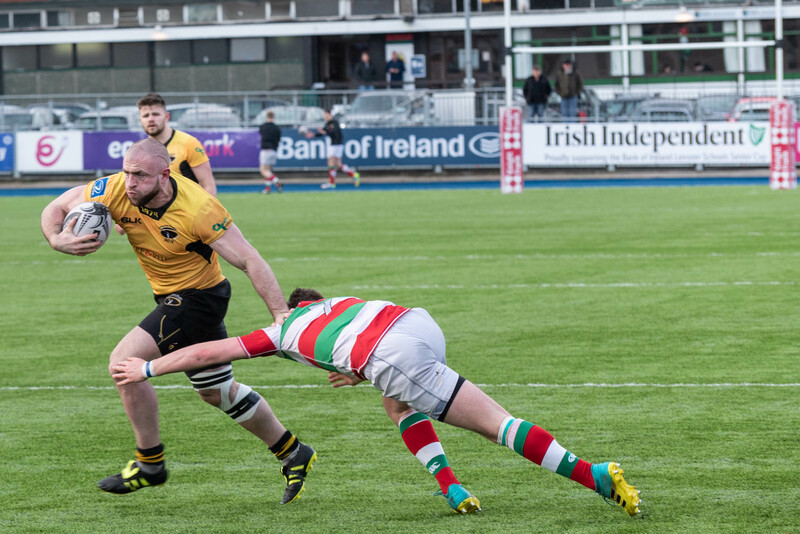 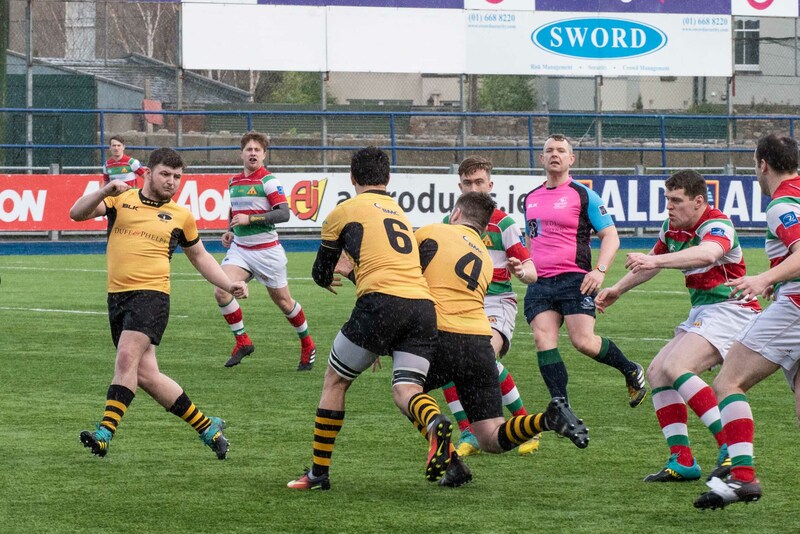 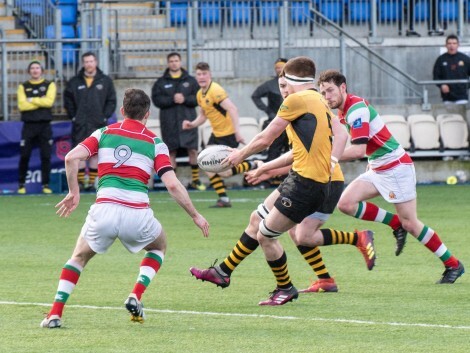 Though Ashbourne lost they came away with 2 bonus points – losing and try bonus, but they are still not secure in the all important 4th place spot to ensure that Ashbourne can have another go at the All Ireland Junior Cup next season. 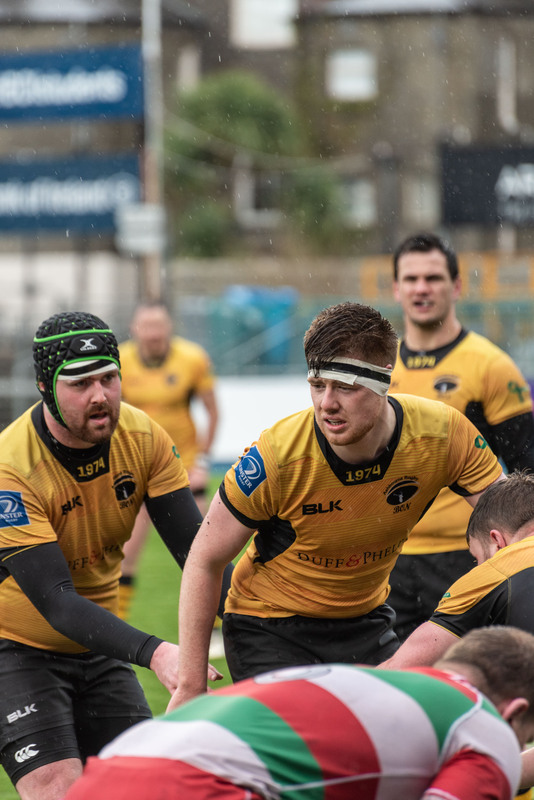 They meet Kilkenny next Saturday in Ashbourne with only a 3 point advantage over the other contender for the spot, so a win is need to ensure 4th place. 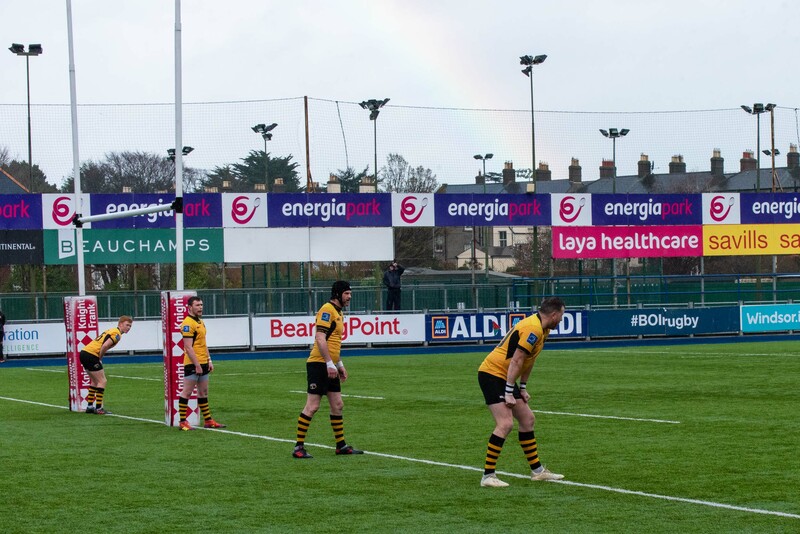 In fairness for the neutral it was a good game with 7 tries played in difficuylt conditions with a swirling wind making life difficult for both sides. 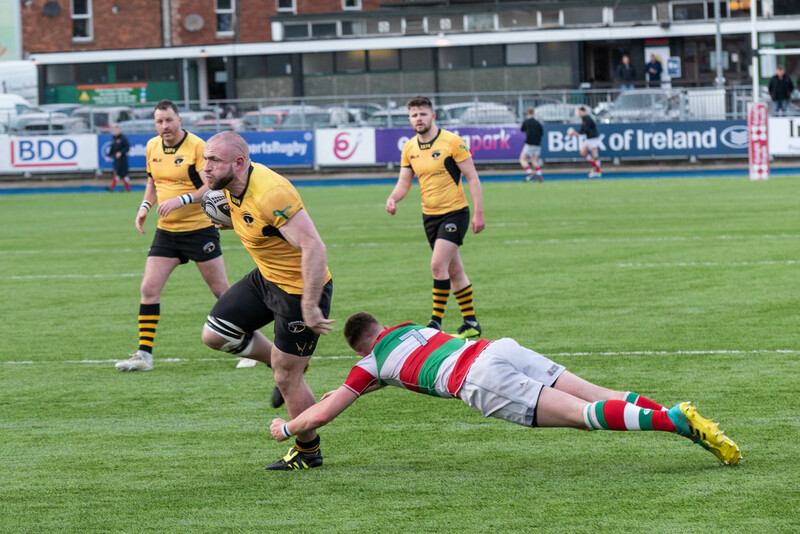 Bective played this like a cup game and they season depeneded on it and that hunger possibly was the difference in the end. 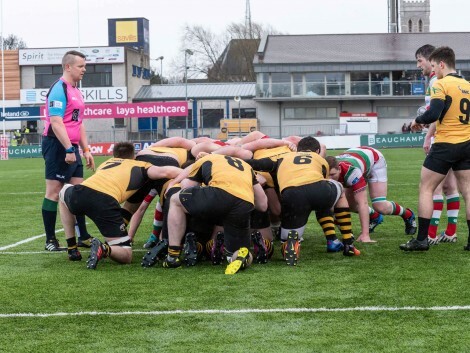 From the kick off Bective applied intense pressure and were camped in the Ashbourne 22 fpr most of it. 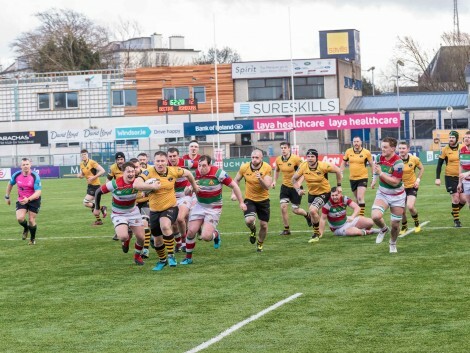 Ashbourne defended stoutly and the home side made no headway. 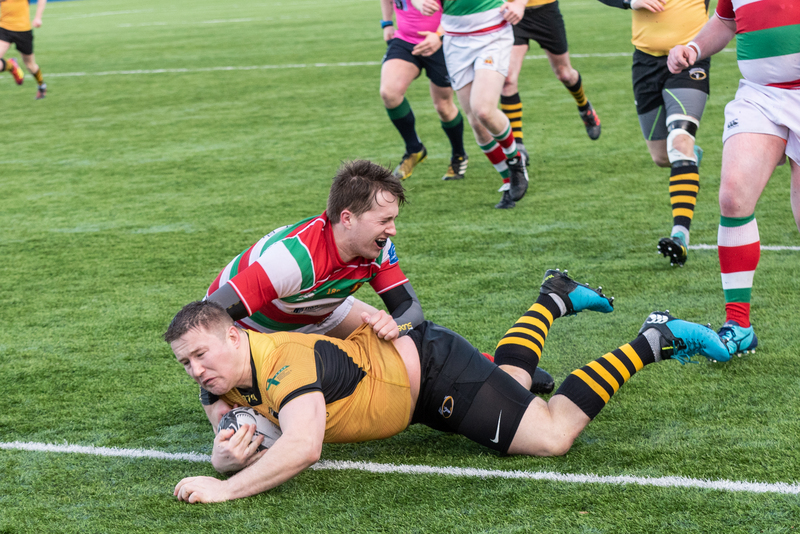 In fact in the first venture in the Bective 22 Ashbourne scored a converted try when Deevy powered over from the base of a 5 meter scrum. 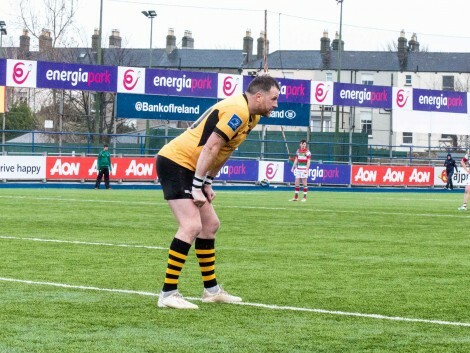 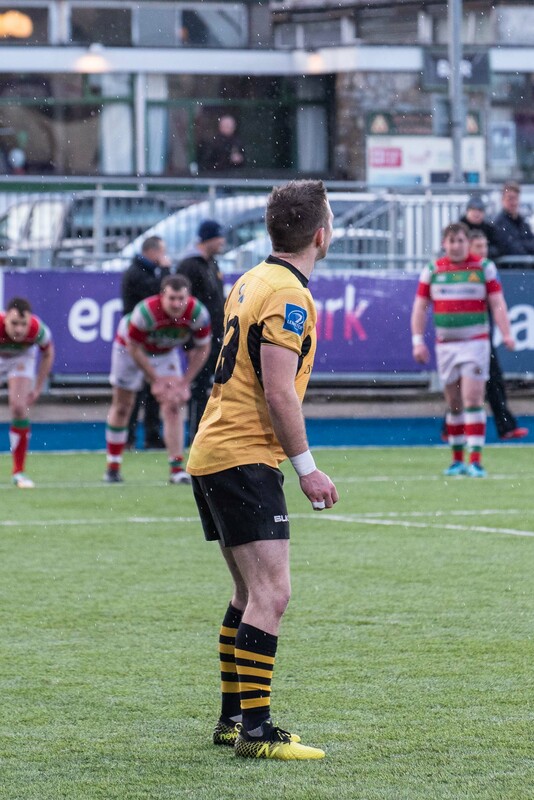 Donal Crotty converted. 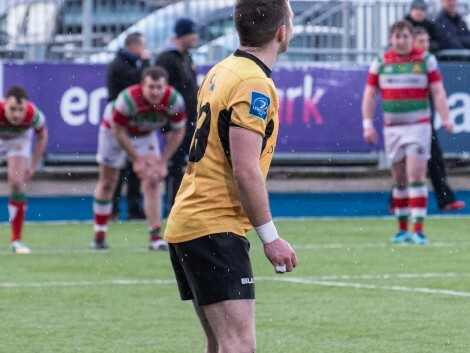 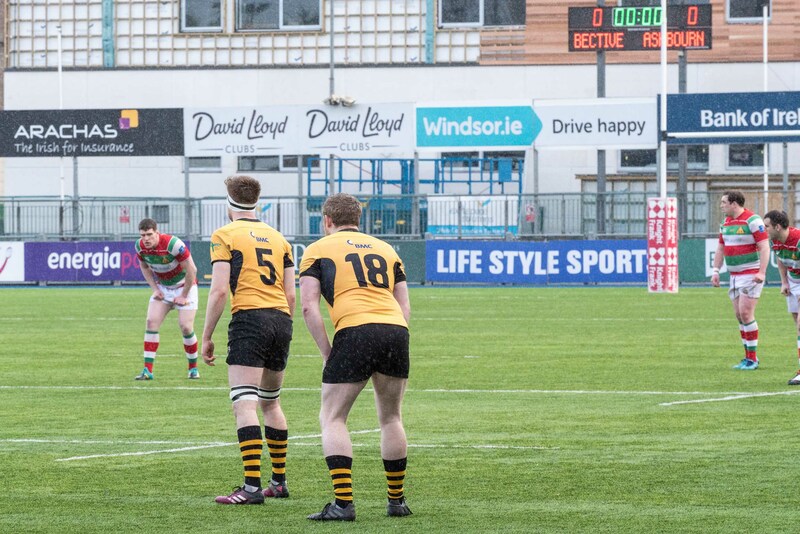 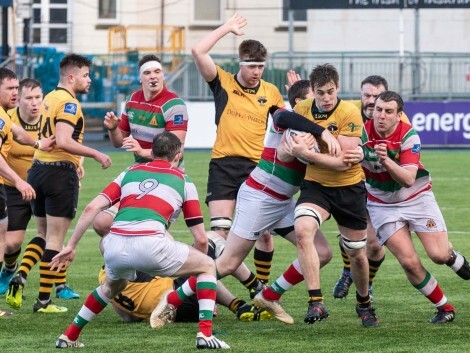 Bective got their first score 4 minutes later with a well taken penalty, but Ashbourne struck again in the 28th minute with scrumhalf Shane Bass broke through the Bective cover to score in the right corner. 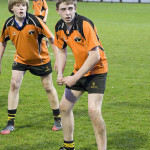 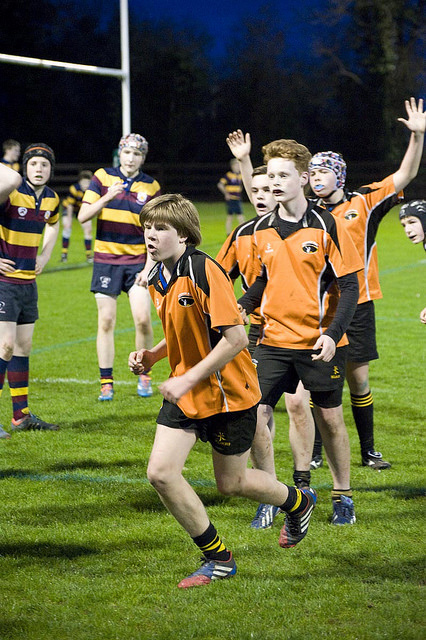 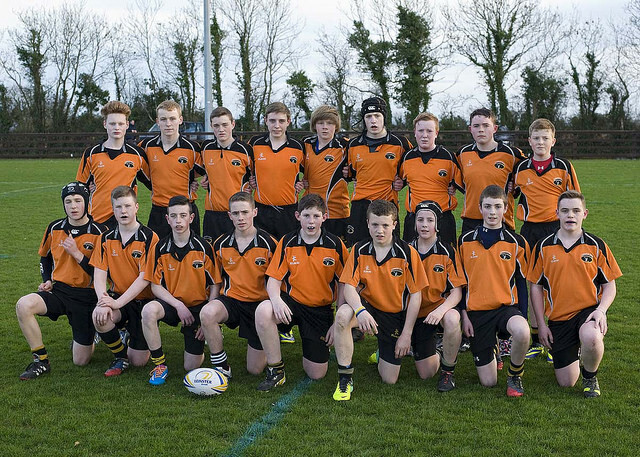 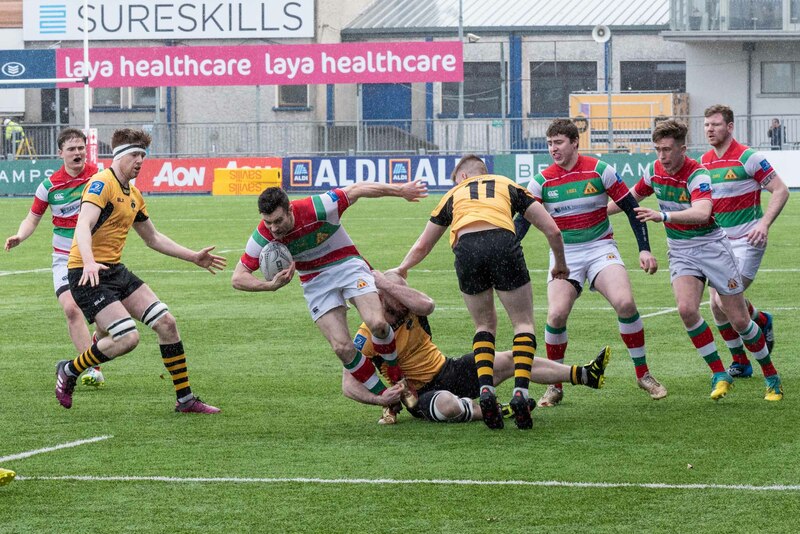 Bective were always danegrous and they struck on the stroke of halftime with a converted try. 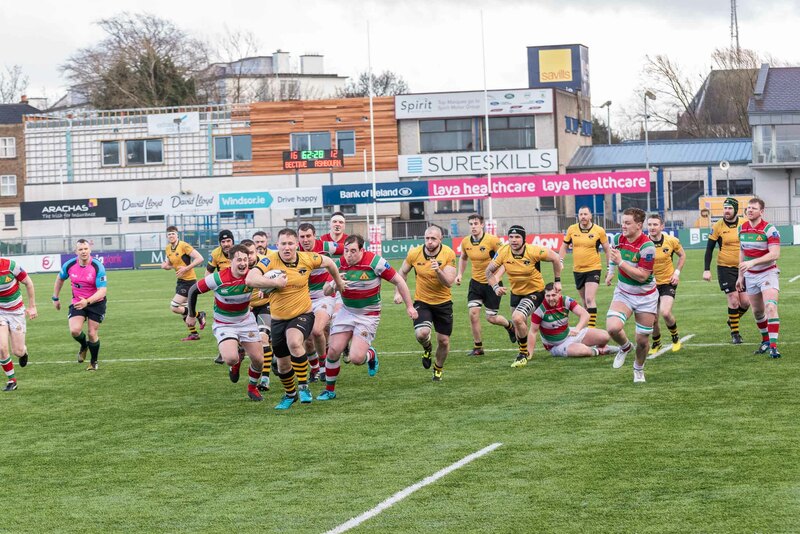 Two penalties from Bective put them into the lead, the 2nd in the 18th minute of the half a stehy gradually seemed to be taking control, Alan Wall, the Ashbourne loosehead score a great try when broke through the centre of ruck on the Bective 22 to touch down in the 64th minute. 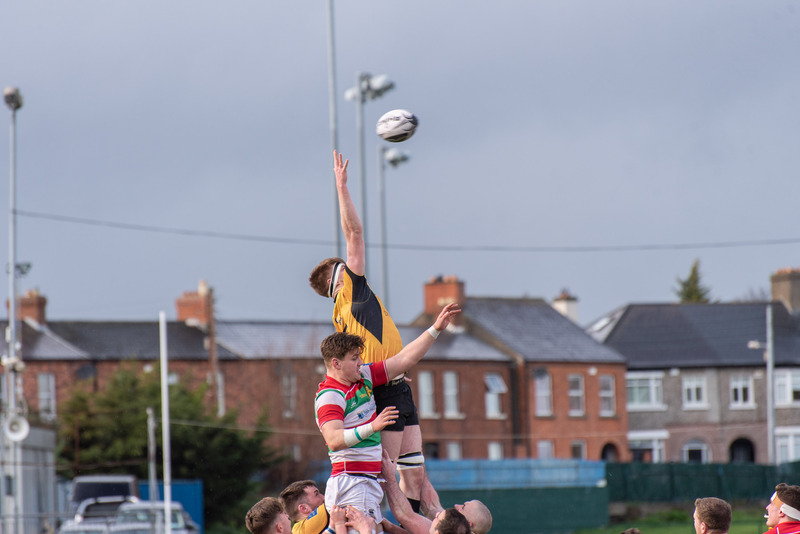 Ashbourne help the lead until the 32 minute when Ashbourne tried to run a backs move but a loose pass was pounced upon by Bective to get them back ahead at 21 points to 17. 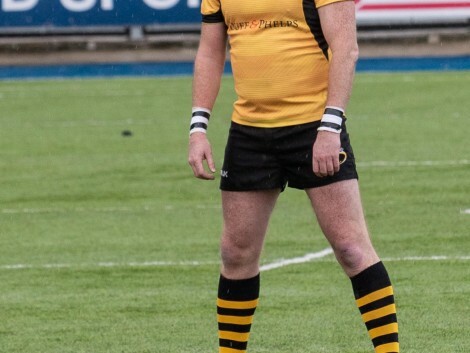 Was there any more twists? 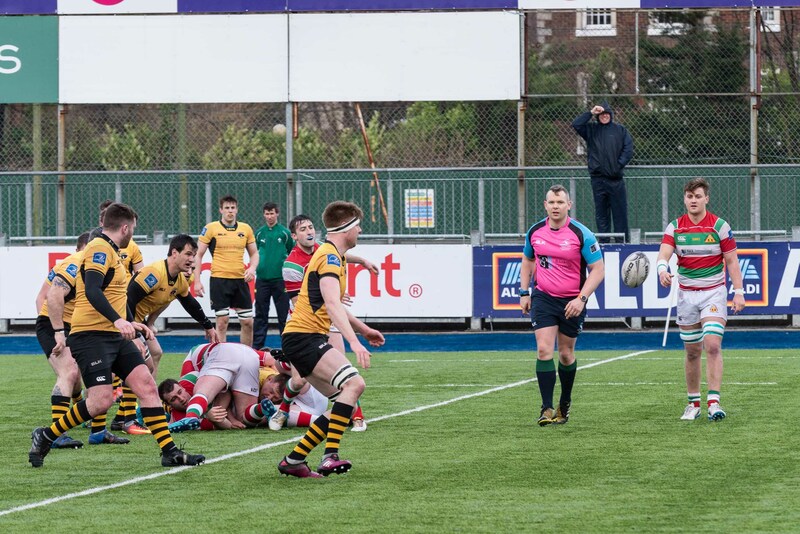 In the 77th minute Deevy was on hand to score his second try again from a scrum and powerful drive by the pack. 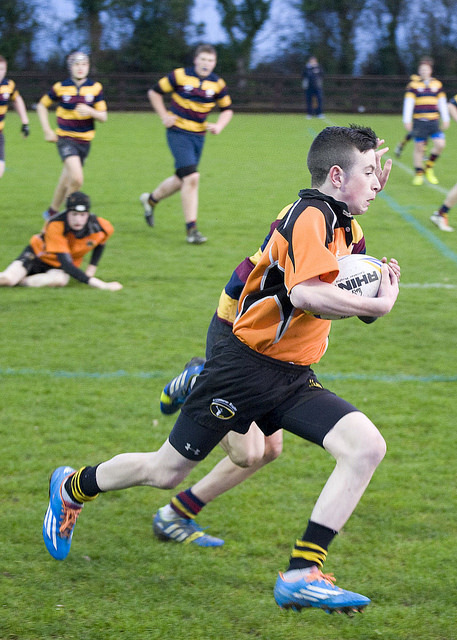 This created the opportunity for the 8 to pick and score. 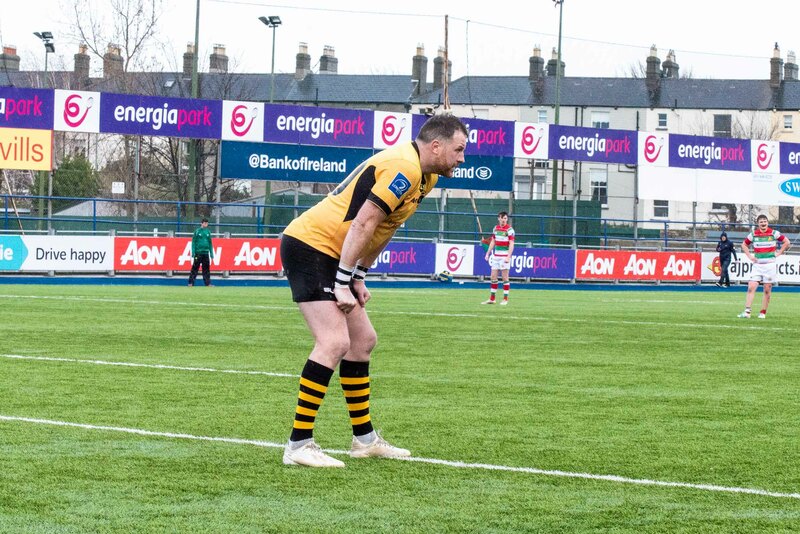 Kennedy on for Bass was just off with the conversion. 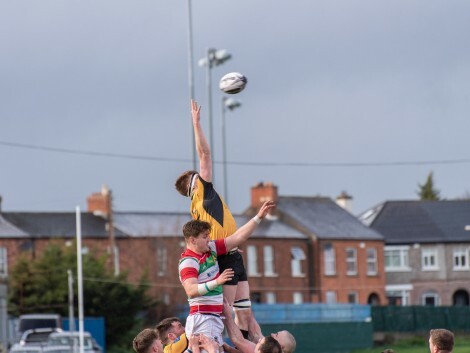 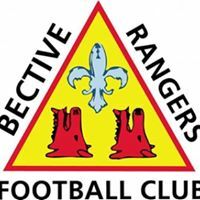 Deevy was Aashbourne’s man of the maytch and the performance deserved a victory, but credit to Bective when the opportunity came in injury time to slot a penaltry their kicker held his nerve and Bective held on to win by 2 points. 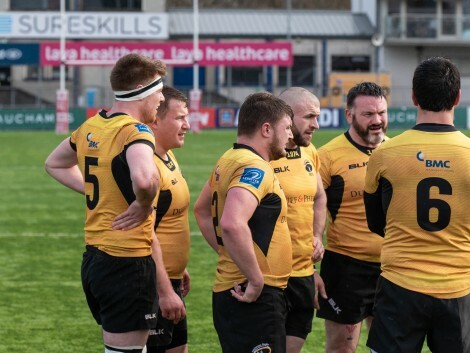 So it is all down to next weeks game against Kilkenny to secure 4th place and they will come determined to win so a cracking game can be expected with a 3pm kick off at Ashbourne. 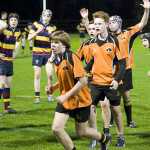 Before it will the final game for the seconds league, witht hem needing a win to secure the league. 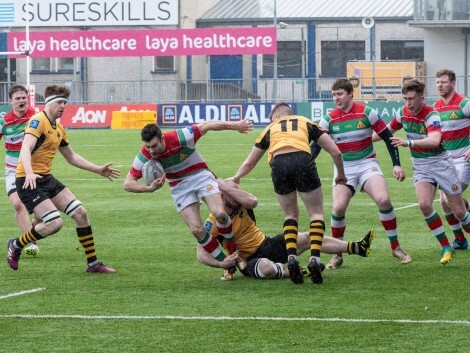 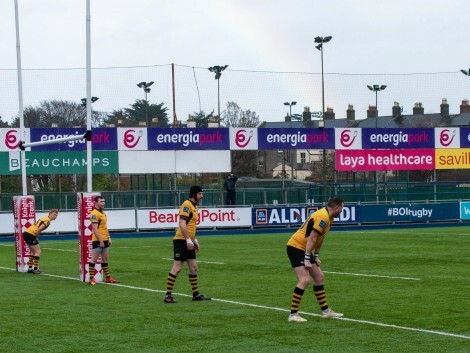 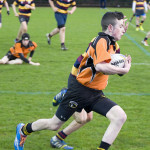 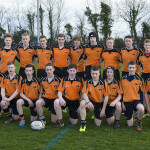 They had a comprehensive 47 point to 10 win over Bective in the curtain raiser, with tries from Shane Nulty (x2), Shane Boland, Aaron McLoughlin (x2), Ciaran Sutton, and Andrew Tormey plus 6 conversions from Kelan Toolan.